* Conference sponsorship with other organizations, e.g., with ASEE sections. The Steering Committee is responsible for reviewing the previous conference and reporting its findings to the constituent societies. The Steering Committee serves as site selection committee. In this capacity, it is responsible for identifying potential host institutions, instructing potential host institutions in the preparation of proposals, reviewing the proposals, and selecting a site at least 3 years in advance of the FIE Conference. It will review and approve the overall budget of each conference. The Steering Committee shall consist of nine members; three representatives from each of the constituent societies -- the IEEE Education Society, the IEEE Computer Society and the ASEE ERM Division. The representatives will be appointed by the constituent societies according to their individual procedures. Representatives will serve for one three-year term. Terms within each constituent society will be staggered. Each term will officially begin July 1 or immediately following the conclusion of the ASEE Annual Conference if it runs past July 1. 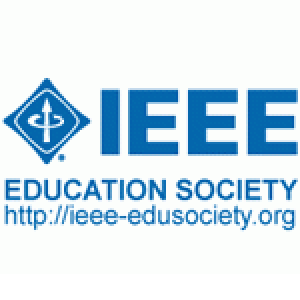 The Chair will hold office for two years and will rotate among the three constituent societies in the order of the IEEE Education Society, the ASEE ERM Division and the IEEE Computer Society. The Chair is appointed by his or her constituent society from among its three representatives with the advice and consent of the remaining sponsoring societies. The Secretary is appointed from among the three representatives of the society providing the next Chair, with the advice and consent of the Steering Committee. The Secretary will keep minutes of each meeting and distribute the minutes to the sponsoring societies. The Steering Committee will have regular meetings twice each year, one at the ASEE Annual Conference and one at the FIE Conference.